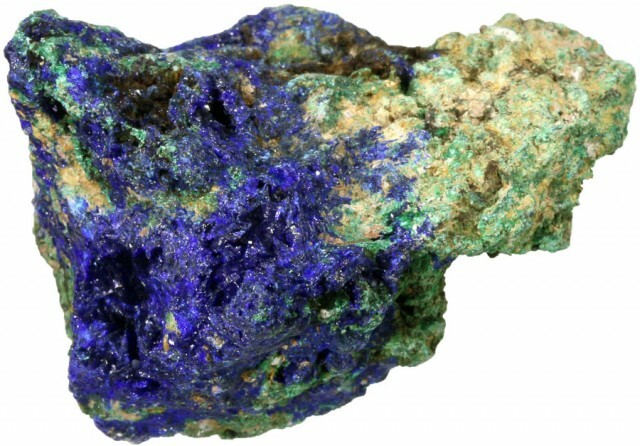 Because of its beauty and relative softness, polished, banded Malachite has been carved into ornaments and worn as jewelry for thousands of years. 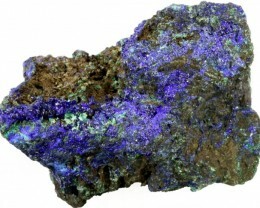 In some cultures it was thought to be a protection from evil if worn as jewelry. 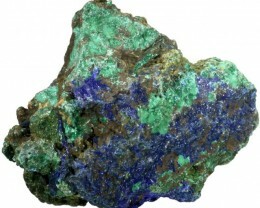 Malachite has also been widely used as an ornamental stone. 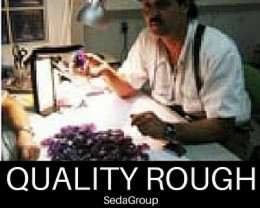 In Czarist Russia it was used to make the columns of St. Isaac’s Cathedral in Leningrad. 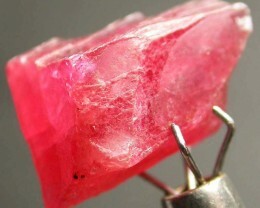 The original material, from which ornaments and jewelry were made since the earliest times came from an enormous deposit in the Ural Mountains of Russia, where massive globular specimens were found. 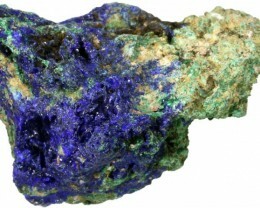 Malachite is still very popular among mineral collectors, especially interestingly shaped and banded specimens. 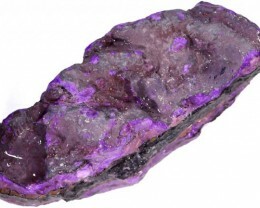 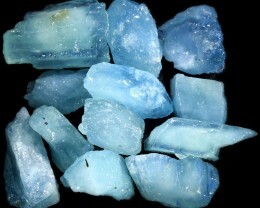 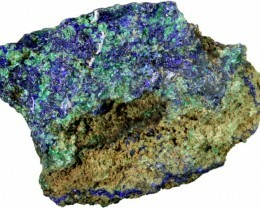 It is also used as an ore of copper and crushed to make a green pigment. 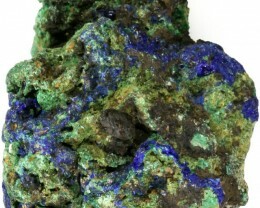 Malachite is usually found with azurite, a blue secondary mineral of copper, but its more widespread and abundant. 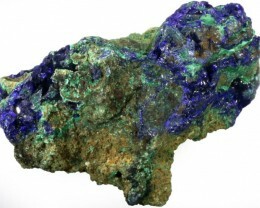 Some mineral samples have alternating bands of green malachite and blue azurite, forming what is commonly known in the gem and mineral trade as Azure-malachite. 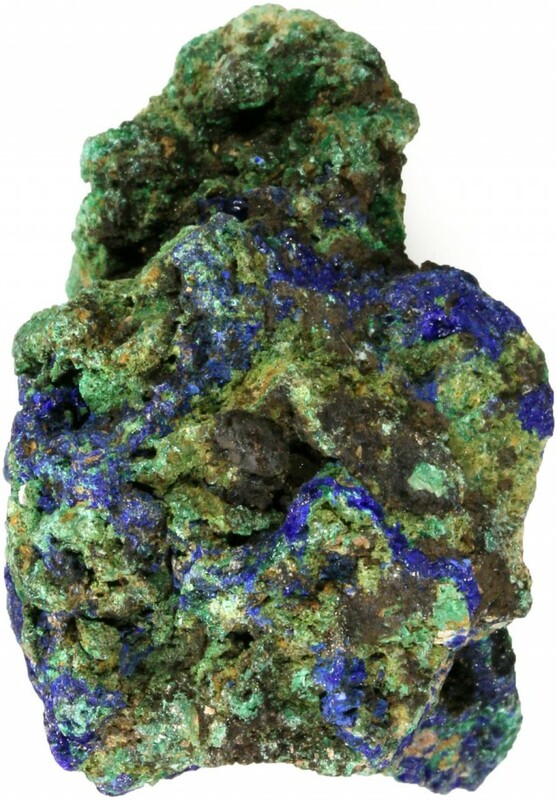 Malachite is found in Russia, Zaire, Australia, and Namibia, Zaire, South Africa, Australia, Germany, Romania, Chile, Mexico and the U.S. 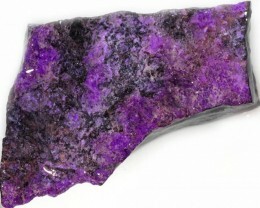 In the U.S., localities include Juab County Utah; Morenci, Greenlee, Globe, Gila, Ajo and Pima counties, Arizona; and Grant and Socorro counties in New Mexico. 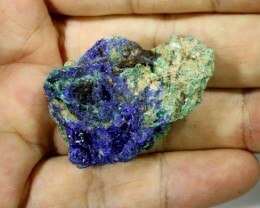 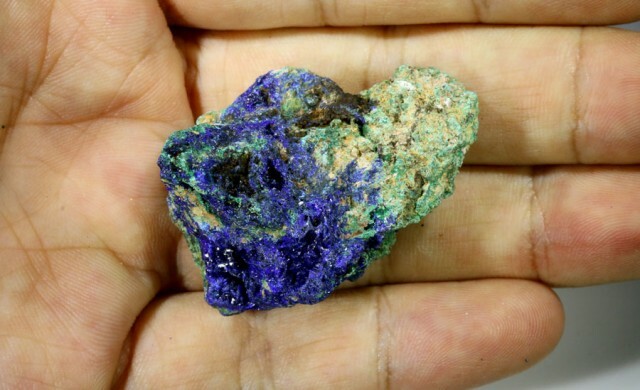 In the Copper Queen Mine of Bisbee, Arizona, large azurite crystals are found pseudomorphed by Malachite.